How many times have you bought a can of Coke, Pepsi or a snack from a vending machine without even thinking about how much profit is made by the companies that own and operate the machines? Maybe you have thought about it, and felt that “all the good locations are gone” and that you’re too late. 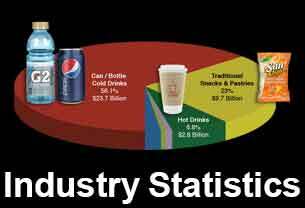 There are currently over 2 million large soft drink and snack vendors on location in North America. 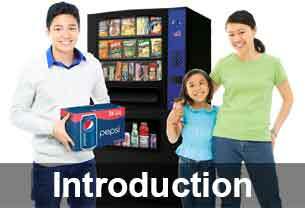 Yet only 20% of all business locations have a vending machine on their premises. This leaves 80% of the market under serviced. 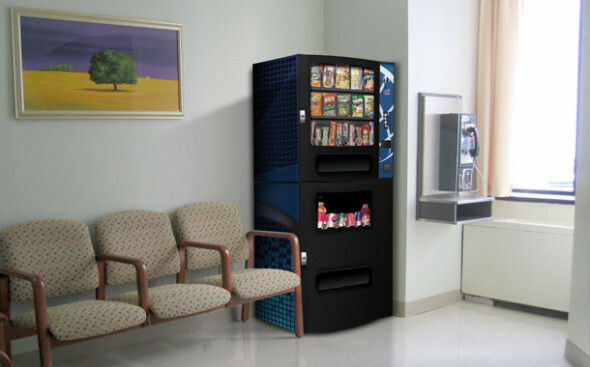 The reason that 80% of the business market is under serviced by the existing industry is that these business locations are considered to be too small for a large vending company to make a significant profit. The bigger companies have high operating expenses and therefore only focus on large locations such as airports, supermarkets and hotels etc. Compact Refreshment Centre operators have discovered that by keeping their operations small and focusing on this under serviced part of the marketplace, they can operate a very successful business with many places to put their machines. In addition to the smaller companies (5-75 employees), there is also a large number of locations that never had the space or didn’t like the look of the large, traditional machines. The Compact Refreshment Centre requires less than 1/3 the space that a large soft drink and snack machine does, and is designed to look great in almost any office environment. Some of your competition as an Area Operator is the catering truck that comes around once a day, or the convenience store down the street. By providing an attractive machine, at no charge, you become the most convenient “little store” in town. Since you provide the convenience, you make the profits.